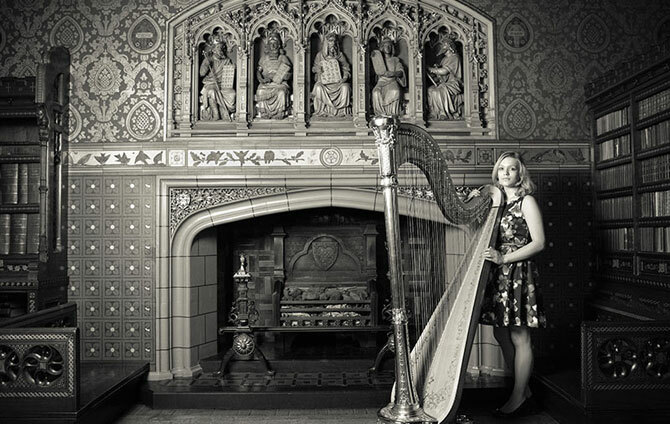 Hannah Stone was appointed Harpist to HRH The Prince of Wales while still a postgraduate student at RWCMD. She recently featured in the world premiere of Karl Jenkins’ St Asaph’s Dance, commissioned by the North Wales Music Festival, and gave a recital for the Victor Salvi Foundation in Milan, Italy. In spring 2013, she performed with Catrin Finch in the College’s Dora Stoutzker Hall as part of the Lyon & Healy International Harp Festival.